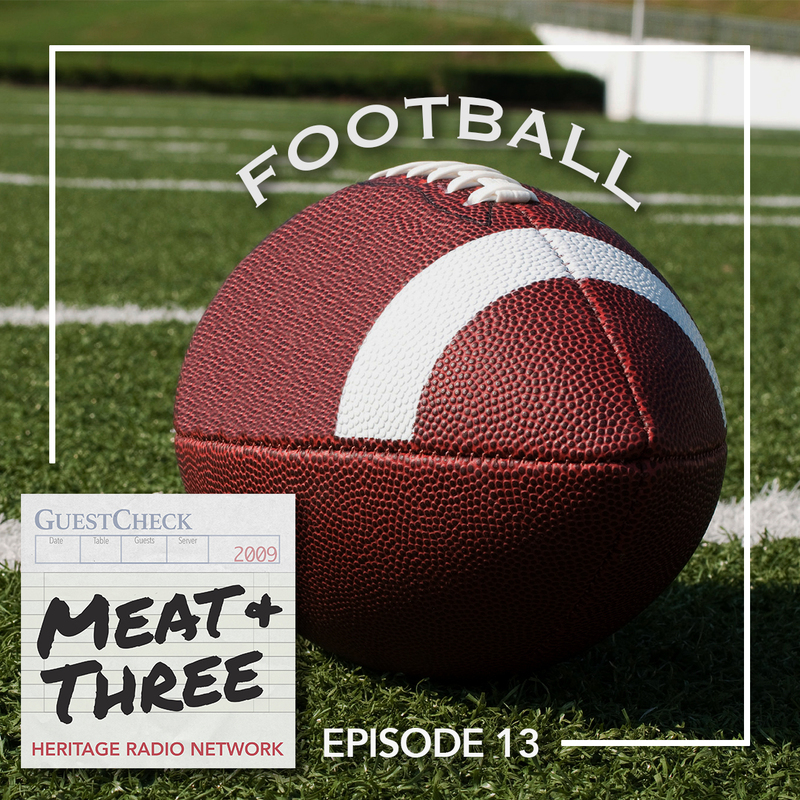 When Kat said she wanted to do a whole episode about football, she got some skeptical looks from the rest of the Meat + Three team…. but by the end of this episode you’ll be just as fascinated by the role food plays on the gridiron as she is. Before we go deep with a look into the diets of football players, we talk tailgating – essentially a bacchanal of fandom. Imagine hundreds of fans gathered around a stadium – beers in hand, smoke wafting off hundreds of grills, all in anticipation of the big game! We enlist Atlanta chefs Nick Leahy, Rusty Bowers, and Kevin Rathbun to share some of their tailgating pro-tips. Starting with the NFL, we find out how pro players are using food to fuel their recoveries. Many athletes rely on the anti-inflammatory power of plants so much that they go all-in on a vegan diet. We hear from Chef Charity Morgan, a chef who feeds her husband (Derrick Morgan of the Tennessee Titans) and his teammates a plant-based meal plan. Scott Sehnert, the Director of Sports Performance and Sports Dietician for the Dallas Cowboys weighs in on the benefits of plants’ phytochemicals in aiding players’ recovery. Next we move to college, where Mary Margaret McCartney (our intern-at-large) takes us inside of Auburn University’s Wellness Kitchen, a $6.6 million, 10,000 square foot facility designed to provide its athletes with optimal nutrition. She speaks to Lauren Silvio, the Director of Sports Nutrition for Auburn Athletics, about how she works to educate the football team about what food is best to eat on and off campus. And finally, our main story this week is about the largest group of football players in the US – the more than one million high school athletes. We speak to Scout Kirkland, a ninth grader playing football at Eufaula High School in Alabama, and his mom, Corey Kirkland, about advice he received when middle school coaches wanted him to ‘bulk up.’ It made us wonder: what advice should be given to high school athletes, and who should be giving it to them? To help answer this question, we turn to Laura Moretti, a Dietician for the Division of Sports Medicine and Orthopedics at Boston Children’s Hospital. Special music in this episode provided by the Auburn University Marching Band, Director Corey Spurlin, and the Auburn University College of Liberal Arts.